This is a custom medium sized wall cabinet. 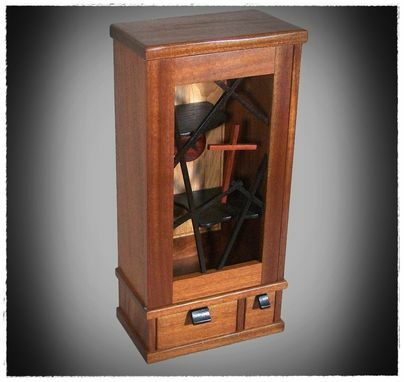 The main body is 3/4" solid Sapele Mahogany with a floating rear White Oak panel. The cabinet contains two differently sized drawers and a single large interior space. 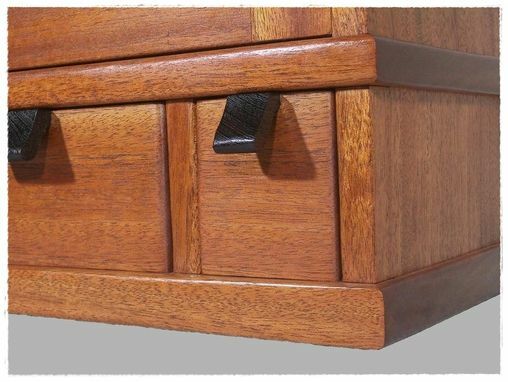 The drawers have custom Wenge pulls in their Mahogany faces and are built old-school with handcut dovetails. The main interior space contains two Wenge shelves which are unusual in their shape and placement. 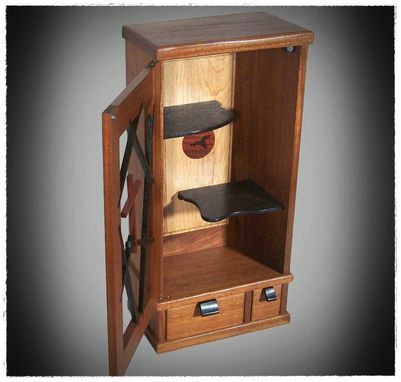 Neither shelf goes the complete distance across the cabinet and as such both short and tall items may be placed inside. 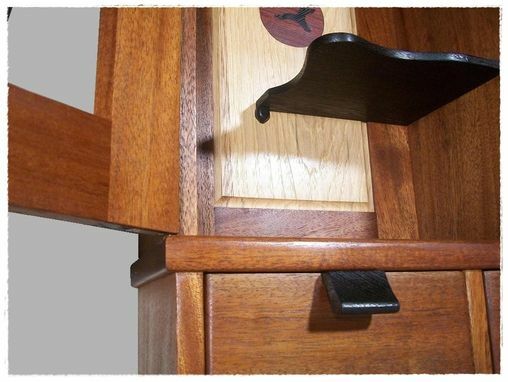 The shelves are held in place with side dados and Wenge pegs (which are mortised into the rear panel). In place of a solid main door panel you see a Wenge lattice work with precision dados holding a Redheart cross as a central viewing point. 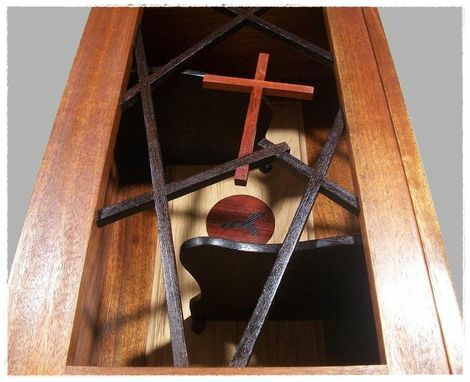 The White Oak rear panel has a inlayed Redheart sunset and Wenge spirit (as a dove) which is seen behind the cross when the main door is closed. It's a very thought provoking image. The door is set with solid brass knife hinges. 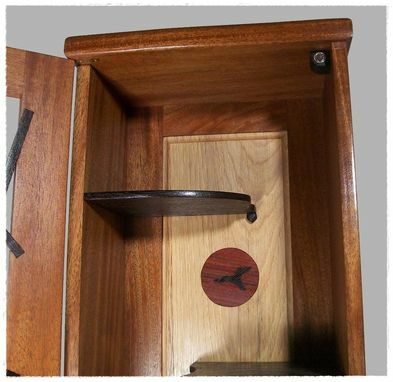 It closes and latches with a rare earth permanent magnet set inside the main space of the cabinet. The cabinet flush mounts to any wall with zero clearance wall hangers inset on the backside of the unit. The Finish is a high quality clear wiping varnish... This is an heirloom piece that will look wonderful in an entryway, hallway, bedroom, or den for many years to come.